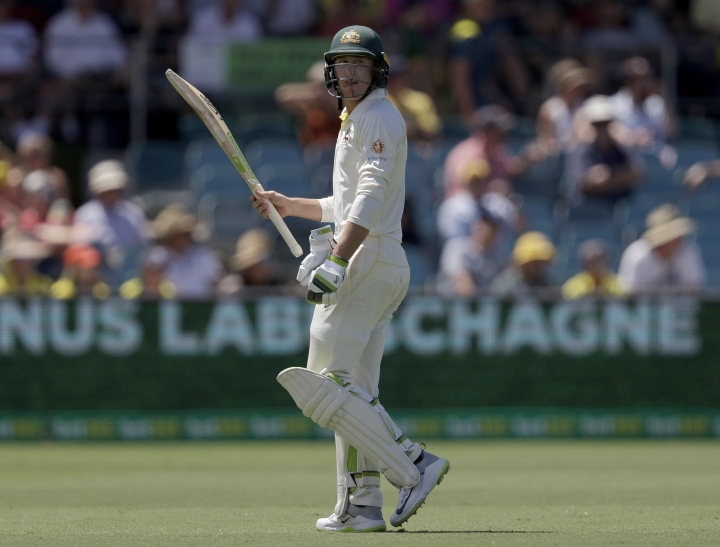 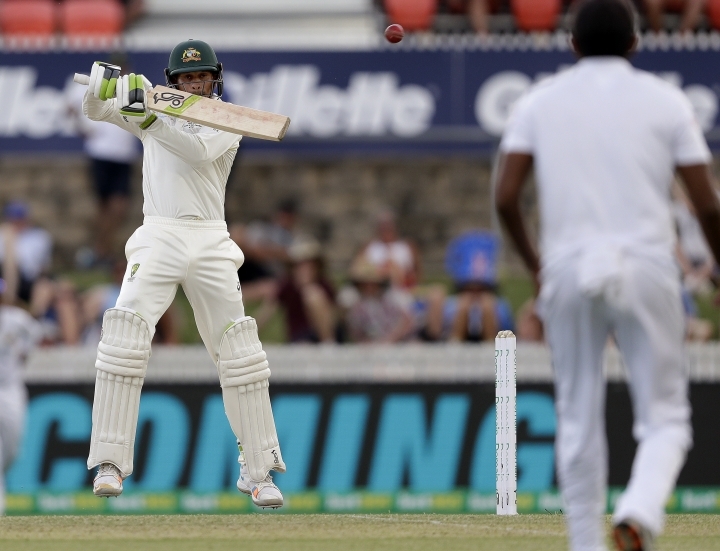 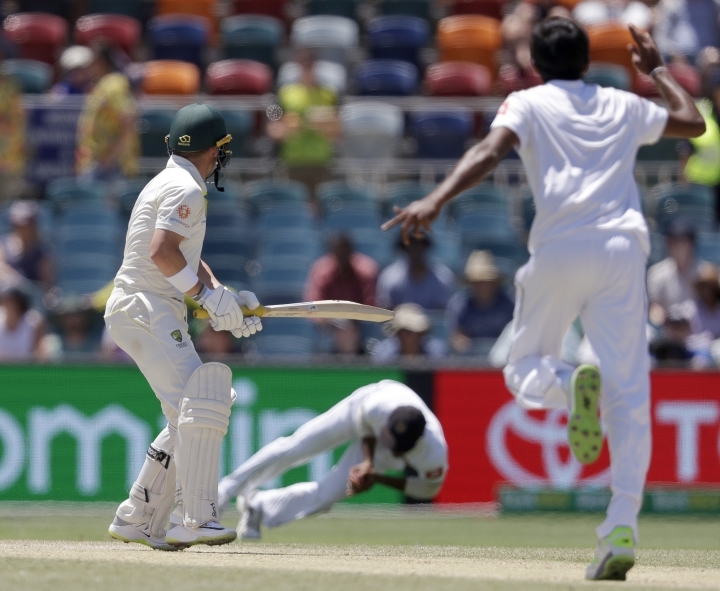 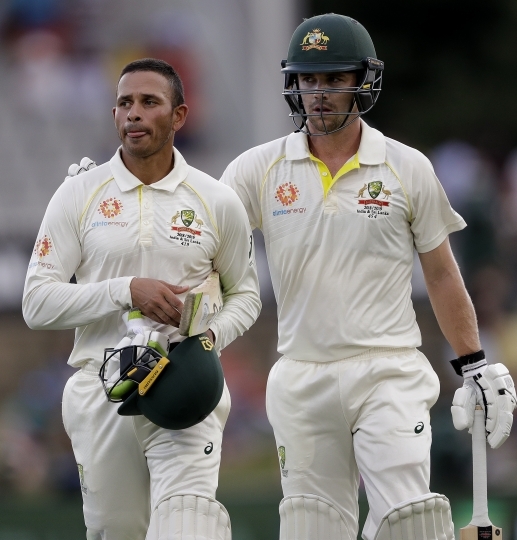 CANBERRA, Australia — Mitchell Starc took five wickets and Usman Khawaja looks to have retained his Ashes spot with a century as Australia set Sri Lanka a victory target of 516 runs late on the third day of the second test on Sunday. 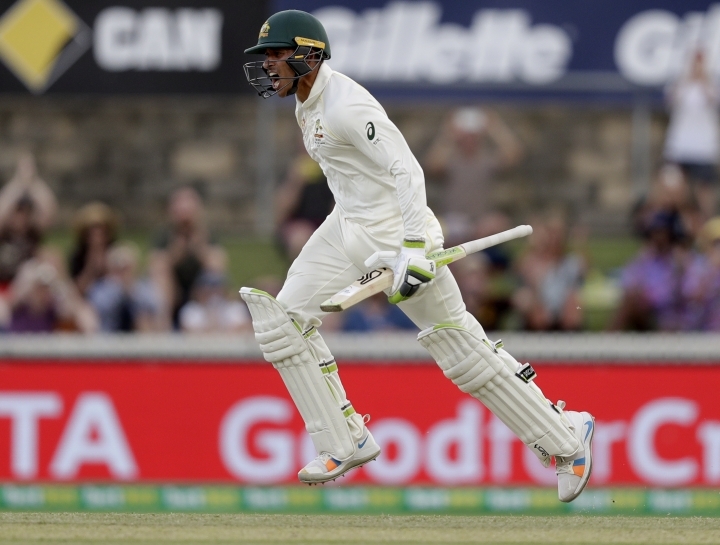 "Cricket has been frustrating, the Indian series, especially losing 2-1," said Khawaja, who was out for a third-ball duck in the first innings. 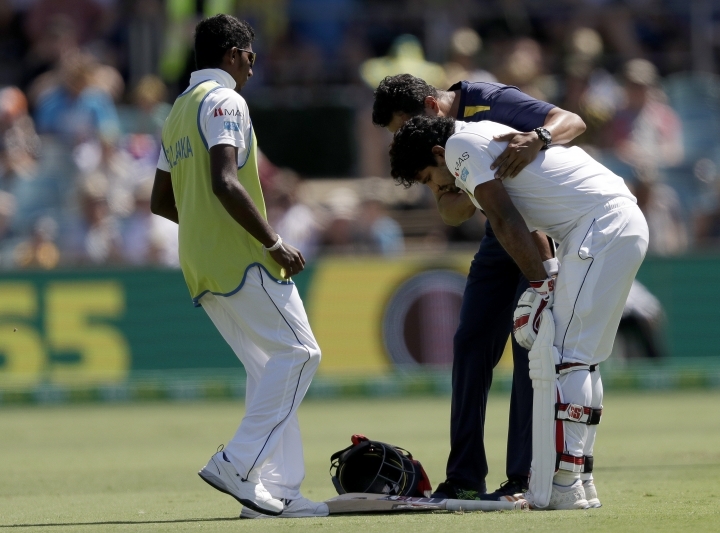 "It was a bit better last game because we won but by the same token you always want to feel like you're contributing. 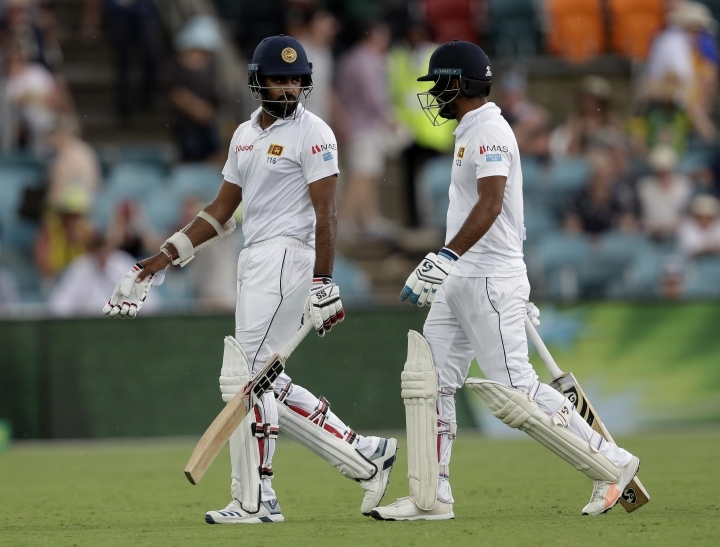 And that's the hardest thing, getting lots of starts and not going on with them. 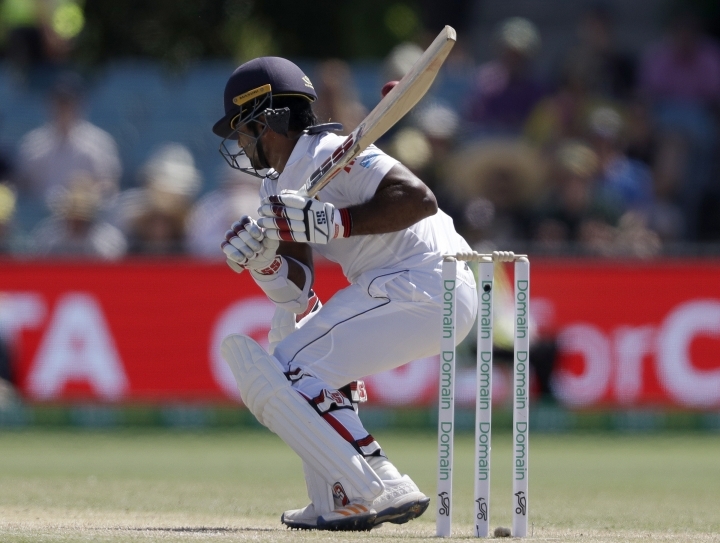 It was nice to get a start today and go on with it." 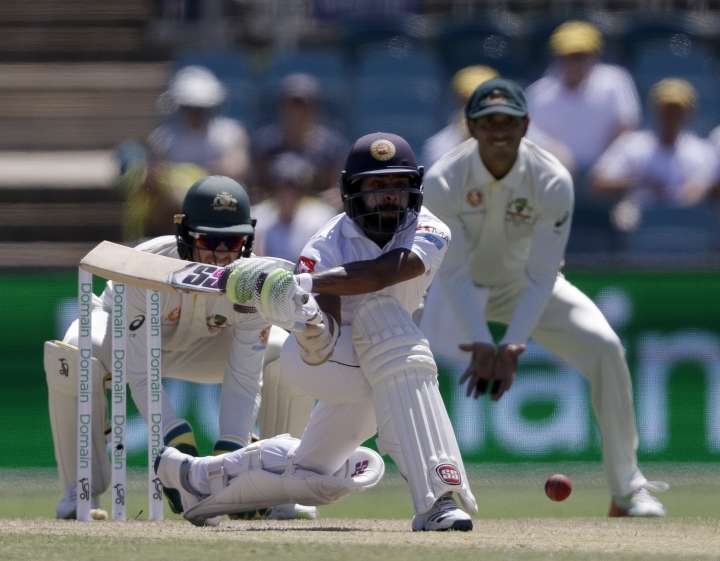 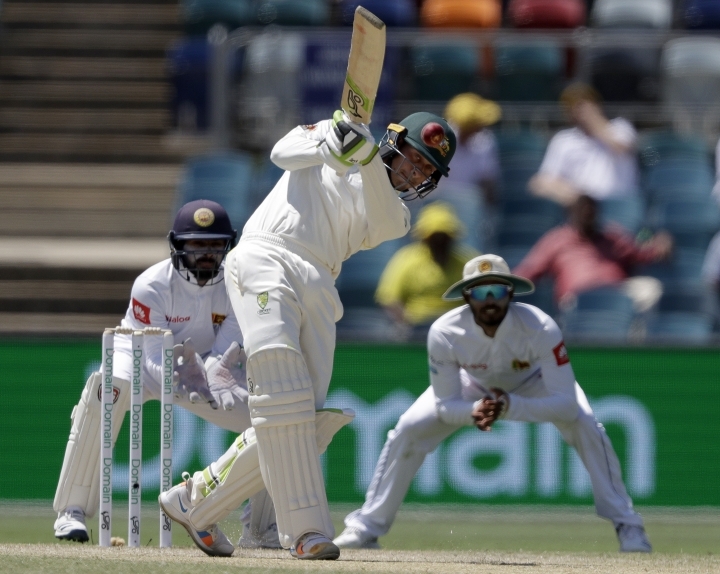 Captain Tim Paine then opted not to enforce the follow-on in hot conditions at Canberra's Manuka Oval, but Sri Lanka's bowlers rallied to make light work of Australia's top order.